Pat Cummins acknowledges the crow's applause after reaching his half-century on Saturday at the MCG. ONLY rain can save Australia from defeat in the Boxing Day Test, although Pat Cummins gave it his best shot with a spectacular innings that put the top order to shame. No player in Australia's top seven against India is averaging more than 40 this series. The pressure is on Australian selectors to consider their options for the Sydney Test. 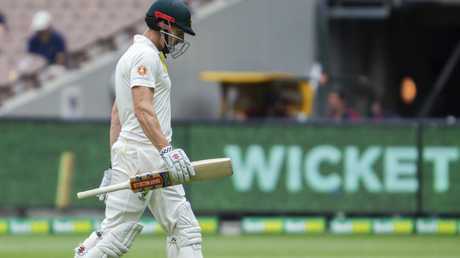 Australia will resumed on Sunday on 8-258 in pursuit of 399. Here are five things we learned from day four of the Boxing Day Test. IF NOT, he's somewhere pretty close to anyway. He's the only Australian to raise the bat all Test for starters, and the only one to face 100 balls in the second innings. He's also averaging more than 23 with the bat this series, and has faced more than 370 balls. Only Travis Head, Shaun Marsh, Tim Paine and Usman Khawaja have faced more. Australia's designated all-rounder, Mitch Marsh, averages just over 25 in Test cricket, to place Cummins' series into context. The fast bowler brought up just his second Test half-century late on day four after all the designated batsmen had crumbled. Cummins' resistance assured the Australians would see some action on day five, when they will pray for rain to save them from defeat. His performances with the bat left Australia legends Allan Border and Michael Hussey endorsing a promotion up the order for Cummins. "I'm just wondering is he good enough to bat at No.7 for Australia and push Tim Paine up to No.6 and you can bring another bowler in or batsman in," Border said. "He's certainly improving all the time with the bat in hand. "In the current climate, the way things are going for Australia, I think he could do the job at No.7." 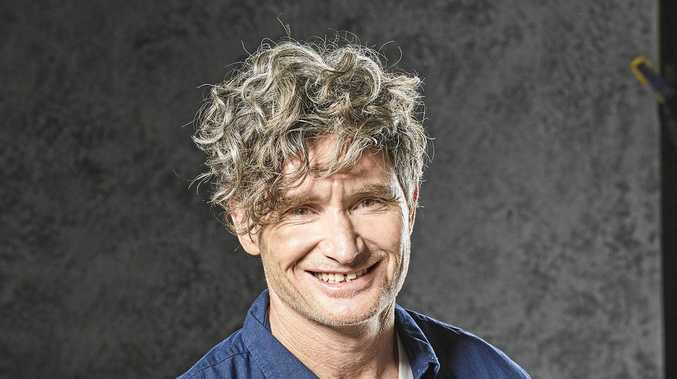 Meanwhile, Hussey lauded Cummins' technique as the quick exhibited expert drives through the covers and back down the ground against Jasprit Bumrah and Mohammed Shami. "He's got an excellent technique Pat Cummins. He's an all-rounder in my books," Hussey said. "He plays very good cricket shots. He's also smart with the way he plays as well. Choosing his time when to go hard and when to just to try and take the single." THERE'S no knowing how deep the batting woes of the Australian top order run. But they go deep. And it doesn't look like they have reached the bottom yet either. No player to feature in Australia's top seven against India is averaging more than 40 this series. In fact, Travis Head is the only player from the group to average more than 30 (36.16). That leaves Marcus Harris, Aaron Finch, Usman Khawaja, Shaun Marsh, Tim Paine, Mitchell Marsh and Peter Handscomb with series averages that make for grim reading. Finch has the lowest (16.16) out of those who have played in at least two Tests. He may soon be at the end of the line - or at least dropped down the order - due to his consistent struggles and technical deficiencies when facing the swinging new ball. His opening partner, Harris, has shown slightly more promise in his debut series, but still lost his wicket in the 20s four times in six innings. 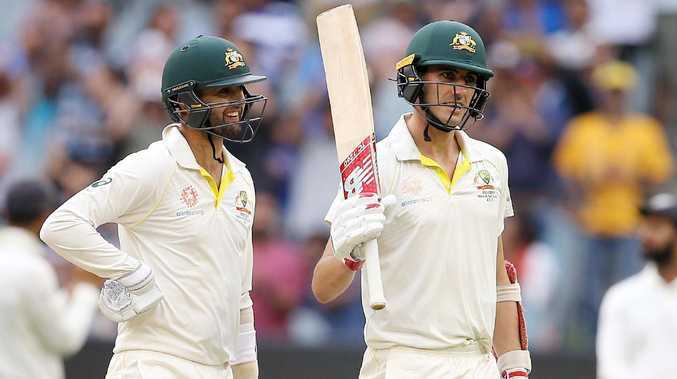 Then there are whipping boys Shaun and Mitch Marsh, who have failed to silence their doubters with another poor series. Mitch was called up for the Boxing Day Test but made scores of nine and ten. His older brother Shaun - usually considered to be brilliant or woeful with no in between - has, in fact, somewhere in the middle. He has averaged 29.16, including middle-of-the-road scores of 60, 45, 19 and 44. But attempting to find replacements for any of these misfiring batsmen could be a pointless task. With the Big Bash League starting earlier this month, no player is involved in red-ball cricket apart from those in the Test squad. "That's the problem with the scheduling. That's why it's silly," Shane Warne said on Fox Cricket. He added: "The other thing is there's no standouts. If you're dropping some of these guys you're picking another one that is averaging 35." Fox Cricket's Kerry O'Keeffe echoed his sentiments, saying: "The Australian selectors are caught in dead water. "All the alternatives are out of form and don't have a case demanding to get into the team." TRAVIS Head continues to tease Australian fans with his expansive stroke play and promising starts, which he is continuously failing to convert. The South Australian is five matches into his Test career and - in the current climate - is a lock in the middle-order. He's scored 339 runs at 33.90 including three half-centuries. But he continues to frustrate the Australian public by losing his wicket just as he looks settled and poised for a big score. Part of the frustration falling on Head's lap has been deflected from those above him in the order who have more serious cases to answer. In fact, Head is the only player in the Australian top six to average more than 29 over the past three Tests. However, in 10 Test innings, Head has lost his wicket between 30 and 80 runs five times. Poor footwork and/or shot selection has most often brought about his sudden demise - and it's something former Test batsman Ed Cowan is sick of. "That's the fourth time in four innings he has not moved his feet in any direction towards the bounce of the ball," he said on ABC Grandstand after Head was bowled by Ishant Sharma for 34. "He played so well with skill and patience but then out of nowhere - a mental error." 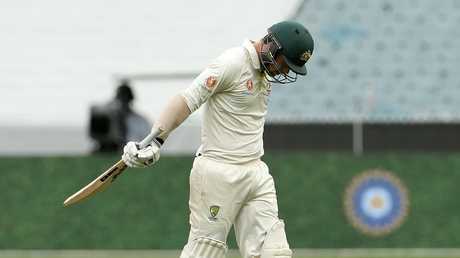 It's become a recurring theme for Head, who will need to rectify the issue to keep his spot once Steve Smith, David Warner and Cameron Bancroft are available for selection. SINCE the Test retirement of legend MS Dhoni, India have churned through wicketkeepers in order to find the perfect match. But Rishabh Pant continues to elevate his name as the likely long-term option, thanks to his consistent start in Australia after just eight Test matches in his career. The left-hand batsman smashed his way into the spotlight with 684 runs at a strike rate of 162.7 in the Indian Premier League this year for the Delhi Daredevils. That hard-hitting approach hasn't changed over the Australian summer, with Pant lifting the ball regularly over the infield and compiling boundaries. In fact, so much so the Australians have regularly thrown their field back as soon as he arrives at the crease, in order to stop the flow of boundaries. At one stage on Saturday morning, the Aussies had six players gracing the boundary as Pant looked to move India closer to a declaration target. He has been a consistent scorer between 25 and 39 throughout the series against Australia, peeling off scores of 25, 28, 36, 30, 39 and 33 this summer, claiming the record for the most consecutive scores from between 25 and 39. The aggressive batsman is fearless in his approach and if he gets on top of a side, he won't be far off raising the bat inside a session - which could come as soon as Sydney. WITH first-choice Indian spinner Ravi Ashwin out of action through injury, it has been left to left-arm spinner Ravi Jadeja to pick up the pieces. Jadeja's inclusion and performance in Melbourne leaves India with a huge question mark heading into Sydney. The tweaker worked hard from the Great Southern Stand End at the MCG, bowling 32 overs for the innings as India held Australia to 8-258 at stumps. He was at his damaging best before tea, able to make the most of the rough patches that had begun to appear outside both the left and right-handers' off stumps. Jadeja got the hard ball to spin out of the rough in just the 10th over of the innings to dismiss opener Marcus Harris, before a slight change of pace deceived Mitch Marsh on the stroke of tea. In somewhat tempting Marsh, Jadeja flighted two balls up in a row and the Australian couldn't resist, chipping the 30-year-old to captain Virat Kohli at cover. After a short period of rest, Jadeja returned just before the final drinks break and his movement over the wicket led to the dismissal of Australian captain Tim Paine, breaking the dam wall as India begun to charge towards a 2-1 lead in the series.